From a Tinder profile photo at the finish line to the altar, one step at a time. 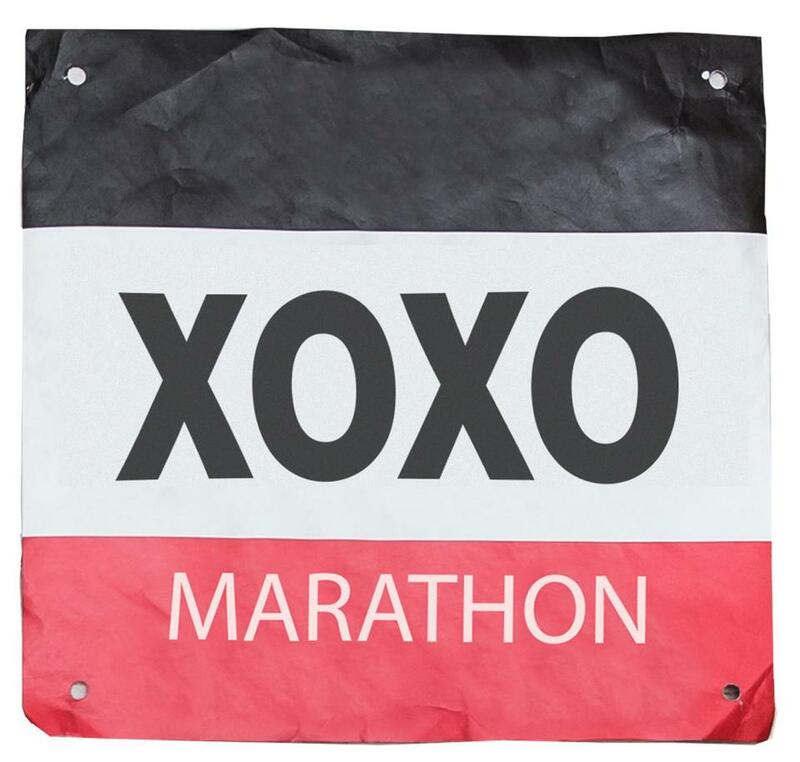 After swiping left on Tinder hundreds of times, I saw something that caught my eye — a profile photo of a woman at the finish line of the Boston Marathon. I had never run a marathon, but Boston is the pinnacle of marathoning. I had to swipe right. I was stunned to receive the notification that we had matched. Even though my inspiration was out of the picture, after hearing her stories about running Boston, I decided that qualifying would be my goal. No lottery, just run fast enough to get in. In my mind, only “real” runners were good enough for that. I needed to finish in three hours, five minutes to qualify, or BQ. My first attempt was a 3:59. I started working with a coach. My second attempt was a 4:30. Ouch, backward! Studying my splits, my coach noticed that I bonked at mile 18. He thought for a moment, then referred me to a local dietitian who was also an elite runner. Her name was Annie. Annie. The woman from Tinder was an elite runner and dietitian named Annie. I quickly sent an e-mail, pretending I didn’t know her. Then I waited. Read: How much prize money do you get for winning the 2019 Boston Marathon? And waited. Clearly, she remembered me as the guy from Tinder who never had the guts to ask her out. Two weeks went by. Three. I was ready for my third marathon and had hoped to have her wisdom to help me through, but it wasn’t in the cards. Driving to that race, I got a panicked e-mail. My message had been lost in Annie’s inbox. We talked for 90 minutes as I drove south through Illinois, mostly about that day’s race. But there was something about her — an energy, a passion, and an unshakable confidence. I was hooked. After that marathon, I started working with Annie in a professional manner. At least that’s what she thought. I was quite certain that my wily charm would eventually win her over. I’d text her at crazy hours, and she’d text back. I’d mention her accomplishments, and she’d play them off and say that anything is possible if you believe in yourself. After a few weeks of 4 a.m. texts, she got sick of waiting and asked me to dinner. What a relief! We quickly realized that we were meant for each other. She taught me so much about what it took to qualify for Boston — crazy things like “drink water.” Unfortunately for me, the one thing she couldn’t teach was the mental side. Many months and many attempts followed. Every time, it was the same story: boy starts marathon too fast, boy starts to bonk at mile 17, boy walks a few miles, boy finishes in 3:30. In September 2017, I toed the line at the Erie Marathon. I stayed calm because I knew all I had to do was follow the plan. At mile 22, I had a full 40 minutes to cross the finish line and still get my BQ. I accepted that it was going to happen and enjoyed the last few miles. I finished in 3:01, and Annie was there waiting for me. She hugged me in a way she never had before. We both were in tears as we celebrated the culmination of three years of hard work. We were married two weeks before Boston 2018. We treated that race as our honeymoon, embracing the wind and rain as we ran side by side. The memories of that cold April day and our first race as a married couple will stay with us forever. I didn’t get my BQ for 2019, but when the gun goes off in Hopkinton, Annie and I will be watching from Wisconsin, making plans to be there again in 2020. Brian Frain is a risk consultant in Milwaukee who has completed 15 marathons. Send comments to connections@globe.com.